When summer hits and every single minute of the day is extremely hot, the last thing you want is to find out that your air conditioner is not working correctly. Testing your AC before the warm weather starts is very important so that you can rest easy and be ready for summer. When installing a new AC unit, it is imperative to hire a professional who knows what they are doing as a faulty wiring is not only dangerous, but it will destroy your new unit. Similarly, the size of the ductwork will determine how well the system works, and if they are too small, the AC will overwork and wear out faster. Filters have to be replaced or cleaned once a month because they allow fresh air inside the coil for it to work efficiently. If you allow the dirty filters to remain there for months, the results will be frozen coil forcing the unit to overwork, blow out dirty air and eventually stop working. Reduced levels of coolant usually imply that there is a leak somewhere. Ancient units often start leaking, and they should be repaired and recharged. Sometimes you may find that the thermostat is incorrectly calibrated and you have to set it right so the unit can work. However, if the setting is okay and the AC unit is still not working, check if the thermostat is working so it can be replaced. Air ducts are responsible for carrying return air into the unit for cooling. However, if there is a leak in the pipes as a result of tears, construction or rodents, the cold air will escape in the walls, and the results will be warm air throughout your home or specific rooms. The AC is designed to drain out all the moisture it collects through a drain line but if it is clogged the water will back up and start leaking inside. Some of these problems can be very well avoided by proper maintenance and use of the AC unit. One of the major ways to keep the AC unit running is by closing all windows and doors, so that dust, sunlight, and air don’t get into the system and cause damage. Regularly replacing or cleaning the filter will also go a long way in preventing mishaps like frozen coil and drainage issues. Be sure also to check that the fuse and circuit breaker are okay because electrical problems are prevalent. Be licensed to work in your area. Have excellent references or recommendations from previous clients. Be well versed and experienced with your specific brand of HVAC unit. Their charges should not be upfront but dependent on the work that is done after they inspect the unit. 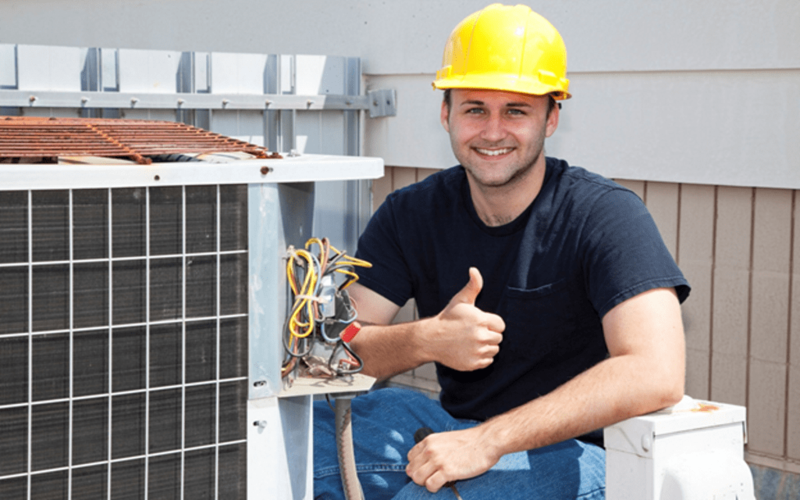 Regular maintenance of an AC unit is the only way to ensure it works correctly every time you need it. You can inspect everything from the filters, ducts and electrical systems regularly and call a technician if there is anything that looks off and you can’t fix it.